The Santa Express is our way of saying thank you to the wonderful Jurupa Valley community for their continued support. 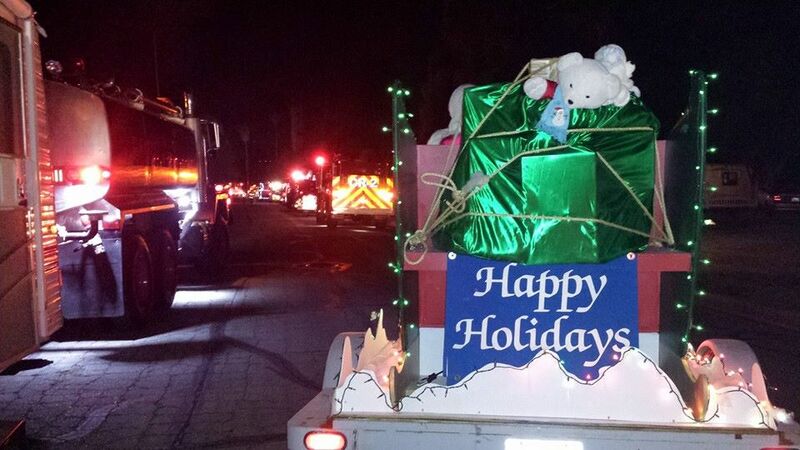 For six nights each year the Santa Express visits area neighborhoods with a Christmas themed parade of floats, characters, fire engines, and joy. Volunteers hand out candy canes while collecting donations in support of our Holiday Adoption Program. 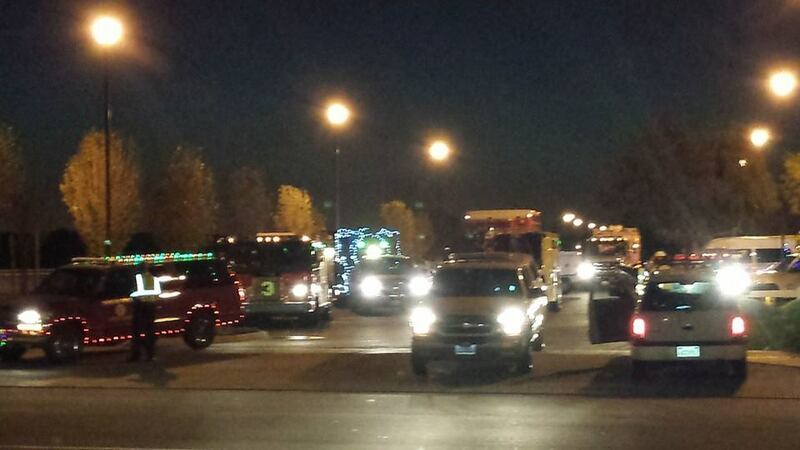 The Santa Express will visit six different neighborhoods this holiday season. Due to a number of factors, we limit the number of streets we visit each year. We have made every attempt to keep the routes within one to two blocks of each street in every neighborhood. 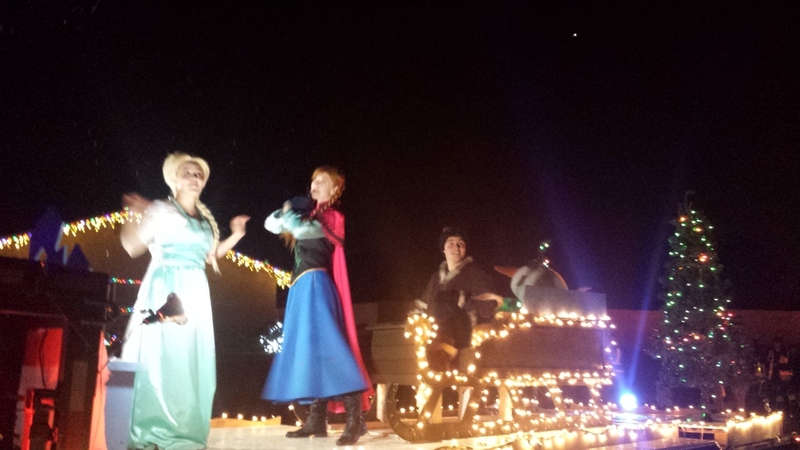 The parades will begin at approximately 6 pm (you will hear us coming) and we hope to finish each night by 9 pm. Routes are subject to change if road conditions necessitate. Since its inception the Sky Country community has been the most generous with hundreds of toys, bicycles, skateboards, and monetary donations. For the first time we have crowned a new "Most Generous" winner. Who will be the most generous in 2017? Please remember, even though we will be in these neighborhoods, we will only be on the streets listed below. While the Express is our way of saying thank you to the wonderful Jurupa Valley community, we also accept unwrapped new toys and financial donations for our Adopt-a-Family program. For safety reasons we ask that everyone remain on the sidewalk or their lawns and avoid approaching any floats or equipment. If you have a donation our personnel will be walking along the route to assist you. The Express is several hundred feet long and noisy. The Santa Express horn and fire equipment sirens are loud and may scare small animals. Please make sure animals are secured. We also ask that for the safety of our characters and participants that you allow the entire Express to pass before moving any vehicles. We make every attempt to follow the routes listed below; however, we may have to alter routes without notice due to unforeseen circumstances. Please examine the routes carefully. Receipt of a flyer, door hanger, or other marketing piece does not mean the Express will visit your street. We hope you enjoy this year's Santa Express! Click Here to view the 2018 Santa Express routes!